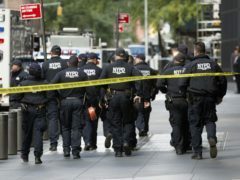 US President Donald Trump consulted with immigration agents in a California border city on Friday, while insisting that the nation’s immigration system was overburdened and declaring that “our country is full”. 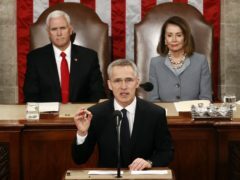 Jens Stoltenberg has acknowledged serious divisions within the alliance and called for bigger defence budgets to cope with global challenges, such as Russian assertiveness. Controversial plans for homes at Donald Trump’s north-east golf course have been recommended for approval. Donald Trump and Nigel Farage met face to face to discuss why the US president should back a no-deal Brexit earlier this month. A jackhammer turned prototypes of US President Donald Trump’s prized border wall into piles of rubble on Wednesday, a quick ending to an experiment that turned into a spectacle. 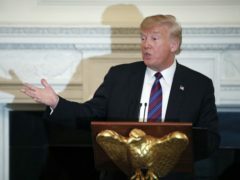 Congress approved a border security compromise to avert a second painful government shutdown as president Donald Trump vowed to declare a national emergency to siphon billions from other federal coffers for his wall on the Mexican boundary. 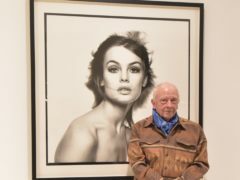 Renowned photographer David Bailey has claimed Donald Trump once approached him for advice, asking “how do you get such classy birds?”. Bosses at Donald Trump's north-east golf course have hit back at a north-east council after a decision on plans to build homes at the site was delayed. Barbra Streisand has penned a highly-politicised musical polemic criticising Donald Trump and attacked the president in a new video. Barbra Streisand has said that Donald Trump’s lack of respect for the Queen was part of the inspiration that contributed to the writing on her new album. Google has denied that it uses its search results to set a political agenda after Donald Trump claimed results were “rigged” against him. As US Vice President Mike Pence announced a Space Force would be the country’s newest military branch by 2020, Donald Trump’s campaign released six logos for his supporters to vote on. 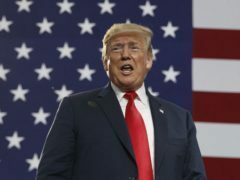 US president Donald Trump has defended his much-criticised performance at the Helsinki summit with Vladimir Putin, promising “big results” from better relations with Russia and hitting back at “haters”.